As International Technical Experts, BRI is assisting several small island developing states of the Caribbean, including Grenada, as part of a regional Minamata Initial Assessment. The Basel Convention Regional Center for the Caribbean is implementing the regional MIA project and BRI is providing expertise to assist with the development of national mercury inventories for each participating country using UN Environment's Toolkit for Identification and Quantification of Mercury Releases. The results of this regional MIA will assist Grenada with meeting requirements outlined by the Minamata Convention to reduce mercury in the environment and exposure of mercury to humans. Antigua and Barbuda became a Party to the Minamata Convention in 2017, while Dominica, Grenada, and Saint Vincent and the Grenadines are taking meaningful steps to accede to the Convention. In order to assist with preparations for the ratification and implementation of the Convention, the Governments of these island nations are each conducting a Mercury Initial Assessment (MIA). 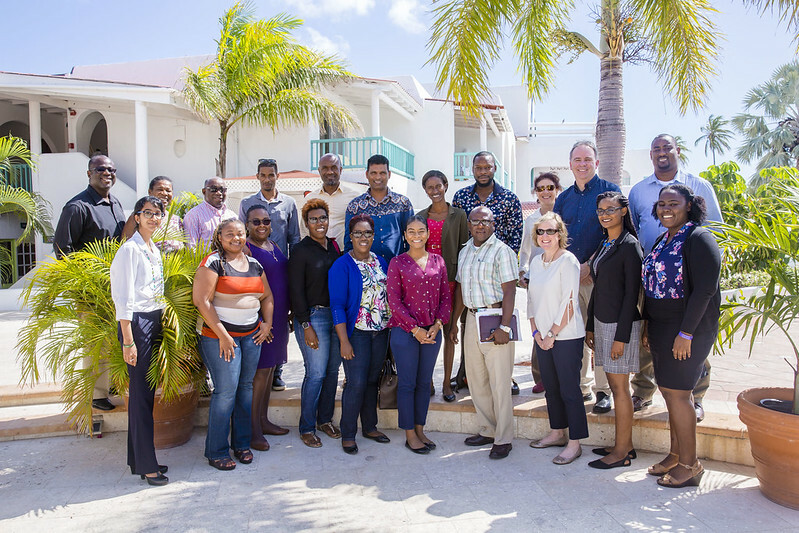 Representatives from Grenada, Antigua and Barbuda, Dominica, and Saint Vincent and the Grenadines gathered in Jolly Harbour, Antigua, March 14-16, 2018, for the Minamata Initial Assessment Regional Inception Meeting and Inventory Workshop. At the workshop, BRI's David Evers, Oksana Lane, and Molly Taylor presented on a variety of mercury-related topics such as the development of national mercury inventories, biomonitoring, cosmetic sampling, and air sampling. Download the following brochures to learn how you can participate in regional and global efforts to monitor mercury in cosmetics, humans, and seafood in your country. Each brochure outlines the sampling process and highlights how participation will help countries meet requirements of the Minamata Convention on Mercury.